On behalf of the Board of Directors and the Director Search Committee of the International School of Latvia (ISL) and Search Associates, we are pleased to announce that after a worldwide search which produced a large number of highly qualified candidates, Mr. Eric Larson has been selected as the new ISL Director beginning in July 2017 for the 2017-18 academic year. Mr. Larson earned a BA in Business Economics from the University of California in Santa Barbara, and an MA in International and Overseas Administration and Supervision from The College of New Jersey. 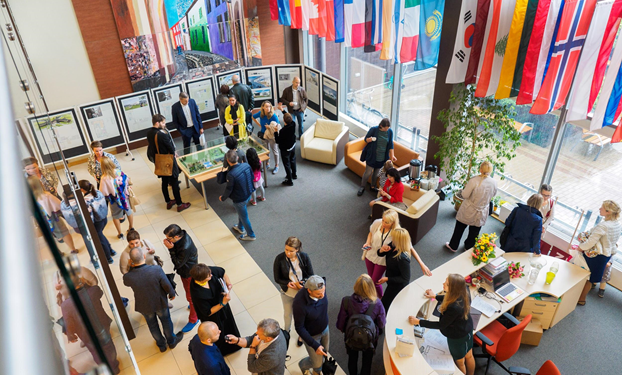 The ISL Board of Directors, Search Committee and Search Associates would like to thank all candidates who expressed interest in the International School of Latvia Director position, and to everyone who assisted and supported the search process. International School of Latvia (ISL) is a very special IB World School, offering instruction in English to our 365 students from Pre-Kindergarten to Grade 12 in Latvia. In the last five years, the school has grown from 191 students to 365, with students representing over thirty different countries. ISL is accredited by the Council of International Schools (CIS), The New England Association of Schools and Colleges (NEASC), and has been authorized to offer the Primary Years Program (PYP), Middle Years Program (MYP) and Diploma Program (DP) by the International Baccalaureate Organization (IBO) for last 12 years. In November 2016 ISL hosted a joint CIS and NEASC pre-accreditation team, that resulted in authorization to proceed with the full five-year joint accreditation visit in 2018 from CIS, NEASC and the IBO. ISL is also a part of the Central & Eastern European Schools Association (CEESA), the international school network that encourages collaboration and cooperation amongst member schools, and sponsors a variety of athletic, academic and cultural events for students in the region. It also offers professional development opportunities for faculty, staff and boards of member schools. In 2011 ISL moved to a purpose-built campus just outside Riga. Located in Pinki, a small community between the capital- Riga (16 km) and beach resort Jurmala (12 km), the ISL campus was built on a green field site and has plenty of outside space for students to play and learn. ISL’s current five-year-old building has a sports/performance auditorium, multi-purpose Media Center, cafeteria and fully equipped classrooms. As the school has experienced significant growth over the last 5 years, in the spring of 2017, ISL will start the construction of its campus extension adding an additional 3500m2 to provide facilities for our growing program. The new buildings will include 5 general teaching classrooms, a 250 seat auditorium, 2 additional music classrooms, 2 art classrooms and 2 science labs with the most modern equipment. It is anticipated that these new facilities will be ready for students to use in 2018/2019 school year. As ISL expands its Learning Support program, the new extension of the ISL campus will also accommodate students with special needs in its fully equipped home base classroom. Latvia is a country in the Baltic region in Northern Europe and a member of the European Union. Latvia enjoys political and economic stability, and has one of the highest GDP growth rates in Europe. Latvia is a very green country, typified by clean air, healthy food and four distinct seasons. It is also safe place to live and work. Riga is the capital and the largest city of Latvia. 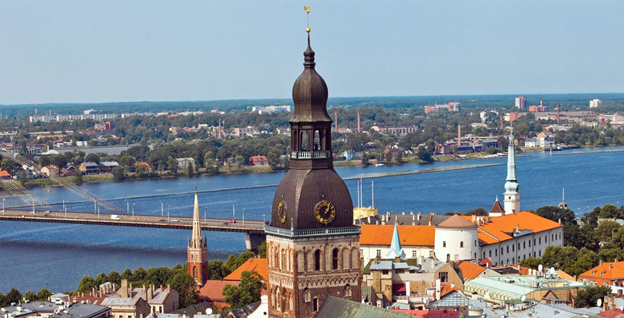 Riga was founded in 1201 and is a former Hanseatic League member. Riga's historical centre is a UNESCO World Heritage Site noted for its Art Nouveau/Jugendstil architecture and 19th century wooden architecture. Riga was the European Capital of Culture during 2014. Riga hosted the 2006 NATO Summit, the Eurovision Song Contest 2003, and the 2006 IIHF Men's World Ice Hockey Championships. Riga is served by Riga International Airport, the largest airport in the Baltic states. Jurmala is a city in Latvia about 25 kilometres west of Riga, the capital of Latvia. Jurmala is a resort town. It has a 33 km stretch of white-sand beach and a population of 55,580, making it the fifth largest city in Latvia. ISL is a school serving the international and local community. 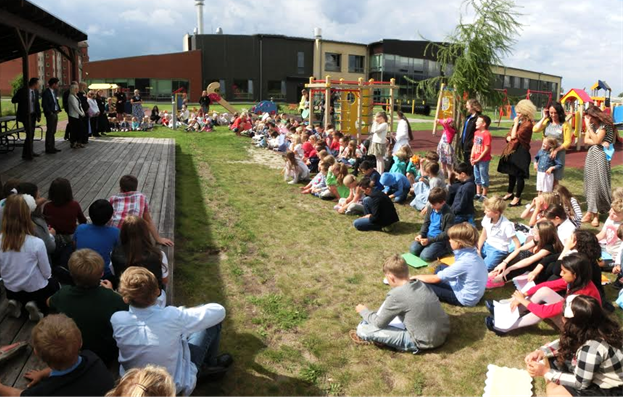 ISL is the only IB school in the Baltic countries region providing all three IB programs. Ongoing commitment to the curriculum is seen in one of the guiding school goals, “what is written is taught, what is taught is assessed and what is assessed informs revision.” ISL also believes that supporting teachers is essential in providing the best education for our students. Significant meeting time is allocated to curriculum work, and our professional development program allows teachers opportunities to be inspirational, innovative and courageous educational leaders, another of our all-school goals. ISL strives to help all students achieve personal excellence and provides a nurturing and balanced environment for the whole child. Following the IB philosophy, we prepare students for successful lifelong learning, and to view our ever-changing world critically and creatively. We strive to create students who act with responsibility, integrity and respect, and appreciate human diversity. Finally, we foster a strong sense of community, where parents, students and staff are partners in education. Our Learning Support Program currently supports students who have mild to moderate disabilities, and those in need of enrichment. We work to provide additional support for students, teachers, and parents to help meet each student’s individual needs. We believe that the best way to achieve this goal is through an inclusive education model. ISL's strategic development is guided by ISL Council- ISL's parent elected body. The ISL Council consists of 7 elected members and one Council member appointed by the US ambassador. The current ISL Council represents members from 5 different nationalities, professionals of different ages from both the private and public sectors, holding degrees in economics, management, law, finance and education. The Council hires and entrusts the operational management of the strategic direction to the Director and ensures that the school's operational management is carried out at the highest professional level. The Director is accountable for the school's performance and standards, and for the school's academic and financial sustainability. Strong and caring leadership are qualities that are absolutely essential for the new Director to possess to successfully lead the school. S/he must be able to inspire, motivate, and lead by providing a clear vision as the school moves forward. S/he needs to be able to communicate effectively with respect and a sense of purpose with students, parents, staff and the Council, as well with our local and international communities. The initial term of the Director’s contract is three years with the option to extend. The remuneration package is commensurate with the responsibilities of the position and is very competitive. Remuneration for US citizens is tax free in Latvia. Based on annual performance evaluation results, the remuneration is revised at the end of each school year. Benefits include housing, utilities, international medical and evacuation insurance, retirement program, school tuition waiver for children attending ISL, annual home leave, professional development allowance, retirement plan, use of school vehicle, transportation at the beginning and end of the contract, and a shipping allowance. The International School of Latvia (ISL) has appointed Search Associates as consultant in the Director search with Ralph Jahr and David Cramer being the lead consultants. The deadline for applications is March 1, 2017. Candidates are asked to submit a letter of interest and the requested materials as early as possible as the Search Committee/ISL Council reserves the right to close the selection process at any time if the right candidate is found. The review of files will begin as soon as applications are received. Skype video interviews of selected candidates will take place on a rolling basis and can be scheduled at any time after applications have been received. Site visits will be arranged for finalist candidates in early April 2017. The new Director will be selected immediately after interviews of the finalist candidates have been completed. Current plans are to have the new Director identified prior to the end of April 2017. A letter of application describing your interest in the Director position at the International School of Latvia, listing your strengths as a candidate and how your qualifications and experience align with the profile of the desired candidate. Additional information about the International School of Latvia can be found at the school’s website at www.isl.edu.lv.